Day 1: Fly to Toronto. On arrival collect your car and make your way to your hotel. Day 2 Toronto: Enjoy the entire day in and around Toronto. 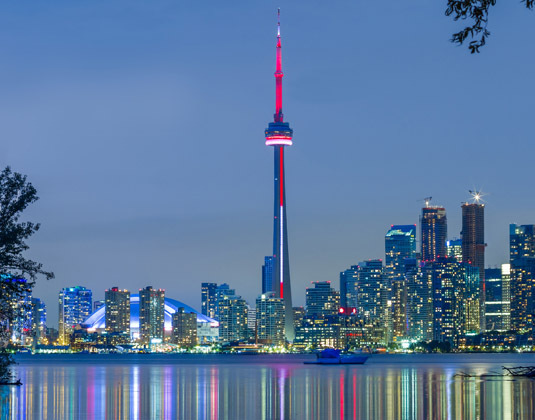 Perhaps visit the iconic CN Tower for sweeping panoramic views, Ontario Place, the Royal Ontario Museum, the Ontario Science Centre or the spectacular SkyDome. Day 3 Toronto/Kingston: Drive east directly to Kingston and on arrival tour Fort Henry. An alternative route to Kingston passes through the quaint heritage towns of Prince Edward County (161 miles). Day 4 Kingston/Montréal: En route to Montréal today you will be entering the beautiful Thousands Islands region, where forested islands lie amid tranquil lakes. 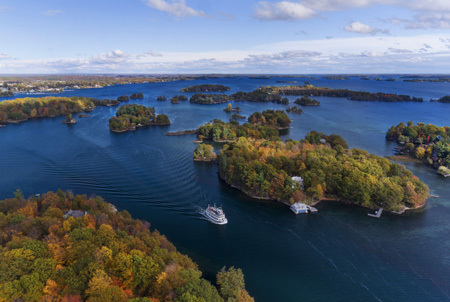 Take to the water and step aboard a cruiser to explore the magnificent scenery of the Thousand Islands. 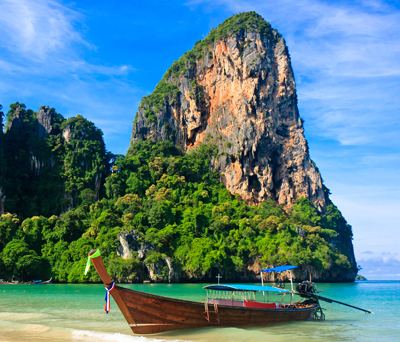 This wonderfully lush island landscape is dotted with luxurious cottages and vast estates. 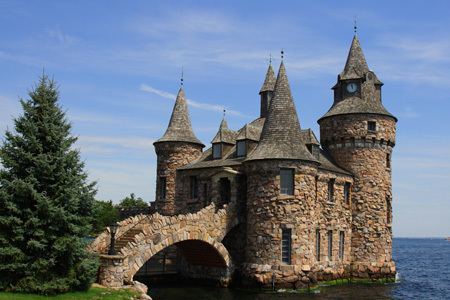 The cruise will take you past Boldt Castle, Zavikon Island and Millionaire's Row (180 miles). 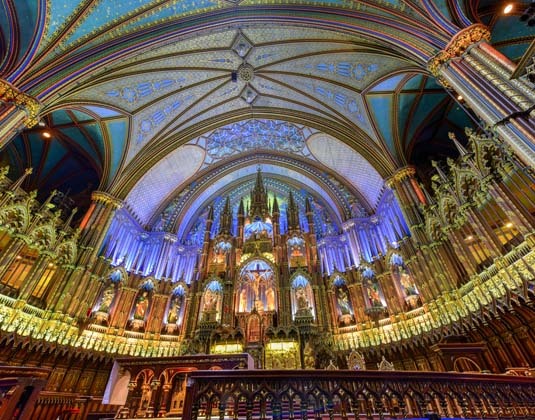 Day 5 Montréal: Recommended attractions include Notre Dame Basilica, Old Montréal, the Olympic site, the Biodome, Mt Royal Park, the casino or underground city. Day 6 Montréal/Québec City: En route to Québec City, we suggest a stop at Cap-de-la-Madeleine, Canada's national shrine to the Virgin Mary. Of interest in Trois- Rivieres is the Museum of Québec Folk Arts and Traditions (155 miles). Day 7 Québec City: Québec City is Canada's oldest city and exhibits a strong French heritage. 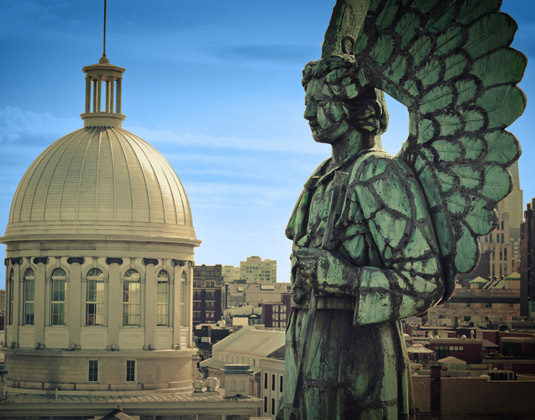 The Fortifications,a historic national park; Place Royale; and the Basilica are some of the landmarks we suggest you visit. Outside the city are the dramatic shrine at Ste. 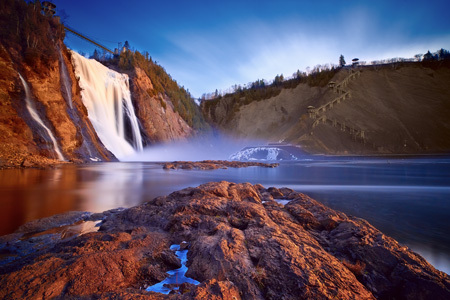 Anne-de-Beaup Montmorency Falls and the Ile d'Orleans (155 miles). 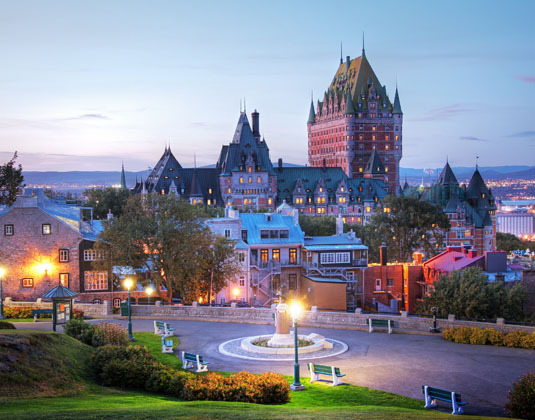 Day 8 Québec City/Ottawa: Take the opportunity to visit more local attractions, such as the Wolfe-Montcalm Monument or Dufferin Terrace before you drive one of several routes to Ottawa, Canada's capital (285 miles). 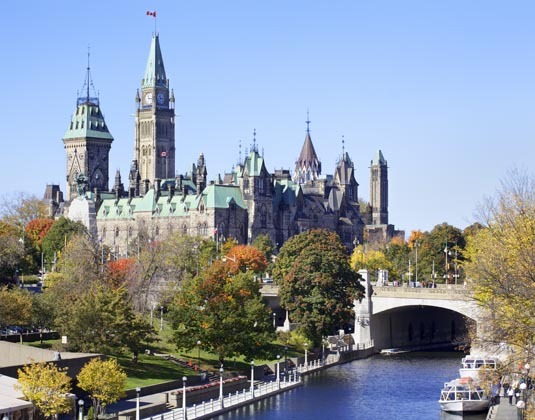 Day 9 Ottawa: Spend the day exploring this historic city of pageantry and the arts. 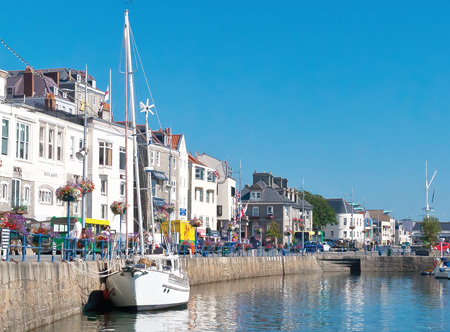 We suggest a visit to the Parliament Buildings, museums or National Gallery. 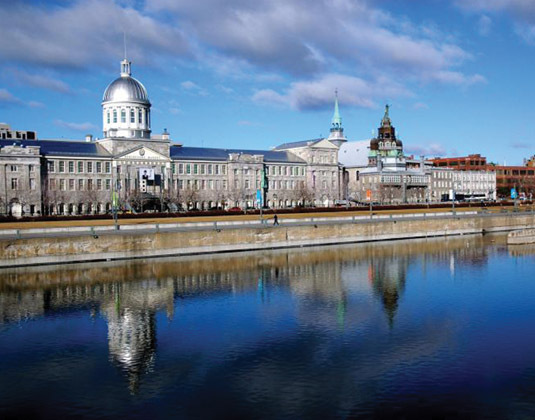 Perhaps take a tour of the Royal Canadian Mint or the Rideau Canal, designated by UNESCO as a World Heritage Site. Day 10 Ottawa/Huntsville: Enjoy a scenic drive to Algonquin Provincial Park and the beautiful Muskoka region. This northern lakeland is a popular escape for Torontonians and Americans from the eastern seaboard of the USA with stunning waterfront vacation homes set around lake after lake. 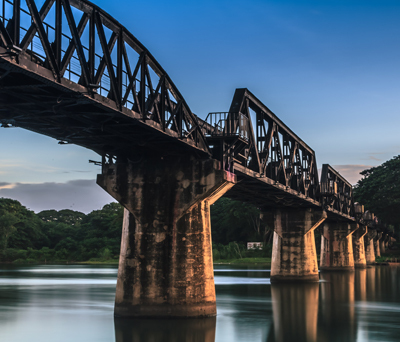 Canoeing, sailing, walking, exploring quaint country towns and villages, boat cruises and fishing all contribute to create the ideal cottage country region (217 miles). Day 11 Huntsville: A full day to enjoy the area's outdoor activities. Alternatively, a short drive away is Lion's Lookout Park or the Muskoka Pioneer Village. Day 12 Huntsville/Niagara Falls: Drive south to Niagara Falls. Consider a stop in Midland at Sainte-Marie among the Hurons - a historic, recreated village demonstrating everyday life, arts and crafts of a colonial village. 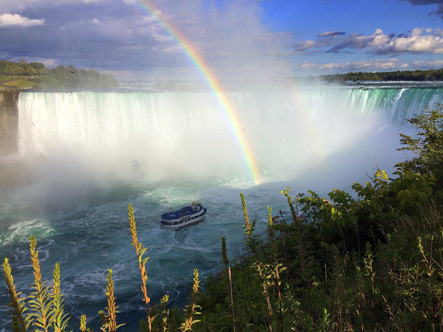 On arrival at Niagara Falls why not take a helicopter tour for a birds' eye perspective or perhaps enjoy a cruise close to the thundering Horseshoe Falls (205 miles). Day 13 Niagara Falls/Toronto: Return to Toronto stopping en route at historic Niagara-on-the-Lake. Drop off the car at Toronto airport and ludes with your onward journey (80 miles).  Departures: On selected dates between 01 May-25 Oct 19. 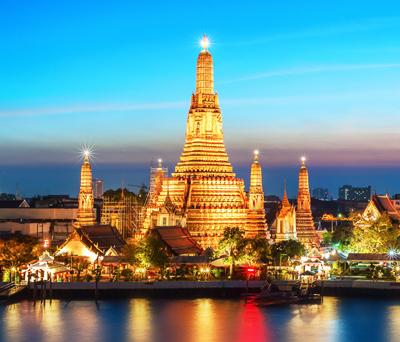 Tour price: The price shown is based on the best value travel dates in low season and includes international flights, 13 days group B car hire, 12 nights accommodation in 2-3hotels, one hour Thousand Islands cruise on day 4 and personalised roadbook. The tour is also available with 3 or 4hotels throughout.